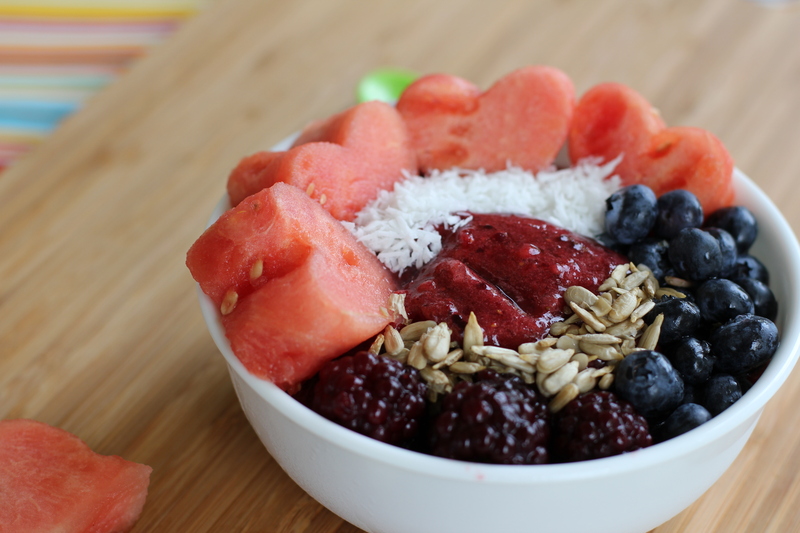 I decided to try adding almond milk to my acai bowls to add some protein and a little creaminess. 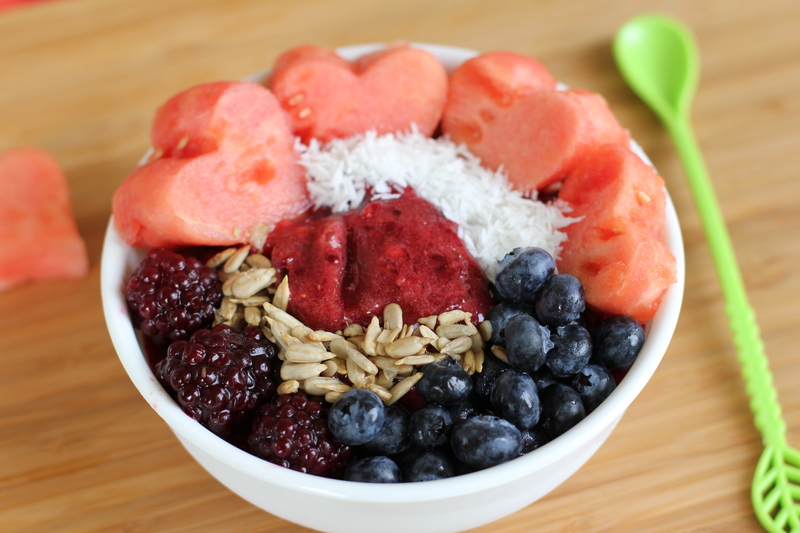 I created this acai bowl with fresh fruit on top! Here’s how I made it.